On Friday the 26th of June Chief Scout Sibusiso Vilane will hand over Springbok Awards to Alexandra Caylee Lancaster and Megan Nicola Medcalf, both Scouts at 1st Cambridge Scout Group in East London. The Springbok Award is the highest award in South African Scouting for members under 18 years old and it will be the first time that two girls receive the prestigious Award in East London. “I am honoured to be able to reward these Scouts for their determination and strength”, says Chief Scout Sibusiso Vilane. 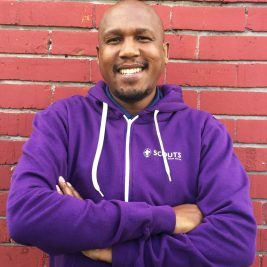 “I think it’s fantastic that they have achieved their Springbok as this award represents the accumulation of Scouting values, skills and leadership abilities. I feel that they will now serve as an inspiration to the Scouts coming after them”, he adds. “As a mountaineer I often see female expedition leaders taking groups of men up mountains or engaging in extreme adventures with the same capabilities – if not more – than men. I took up a group of people once where the heaviest bag was carried by a women with such ease it was incredible! I also met a woman who was exploring Antarctica on her own which not many people would attempt to do. During one of my Everest expeditions I saw a lady climb up Everest without oxygen, which in the eighties was unheard of! My point is that we need to move away from the notion that girls and women are weaker. If a person has the desire to do things and they have the courage to try then they can achieve anything. I find that these days’ women are taking “Adventure” to another level! You need to say to yourself “I can do this” and then look back and see that you have done it! The fact that Megan and Alexandra have achieved their Springbok Award is simply the confirmation thereof”, he says with a smile. The Springbok Award focuses mainly on leadership and community service. It encompasses among others 40 hours of community service, leading a hike over 30 km in unfamiliar terrain, organising and leading a camp, cooking a 3 course meal for a group of people over an open fire using Dutch ovens and planning and constructing a big pioneering project. Megan joined the 1st Cambridge Scouts in 2010 at the age of 13. 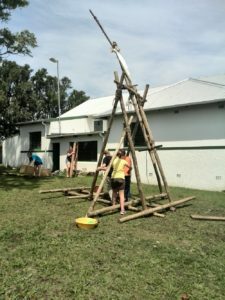 As part of the Springbok requirements she fulfilled her community service project at the Salem Baby and Child Centre in East London and her construction project was a drawbridge. Alexandra joined the Scout Group about six years ago, towards the middle of 2009. She opted for an environmental community service project which included bush-clearing and cutting cycling trails through the bush at a new Baptist Church camp near the Nahoon Dam. 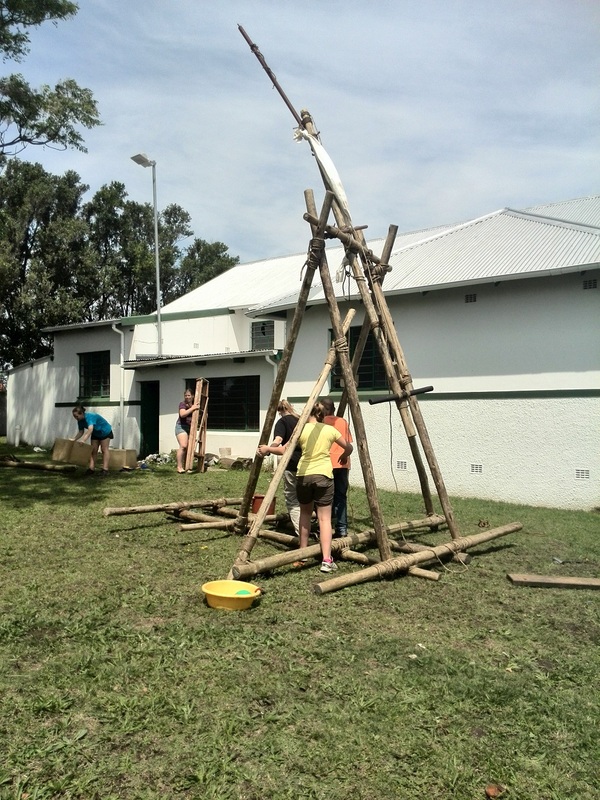 Her construction project entailed the building of a trebuchet.